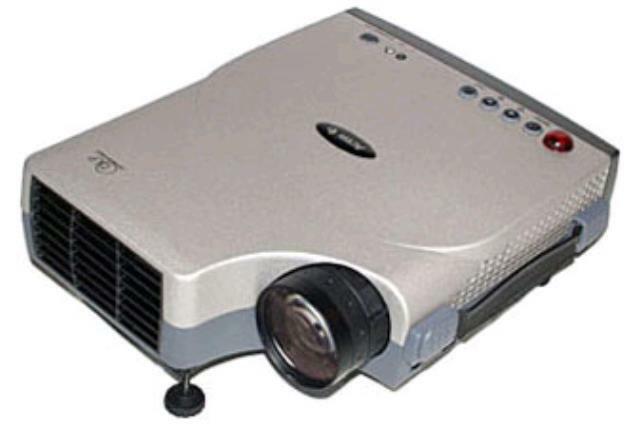 Crystal clear images are projected out of the Acer multimedia projector at an XGA 1024 x 768 native resolution and a SXGA 1280 x1024 max resolution with a 4:3 native aspect ratio. The Acer PalmPro 7765PE shows bright, sharp images on any white board, white wall, or white screen, with an illumination of 1100 ANSI Lumens and a contrast up to 450:1 ratio. This small Acer multimedia projector is a great option to make any presentation a big memorable one.